So what are they? What are those hidden little Xcode 4 hints & tips that you can't live without? Please limit your tips to those that are new and specific to Xcode 4! If you like your code to look as good as it runs, you've undoubtedly used #pragma mark - and #pragma mark <name> to provide a nice visual grouping in the Xcode class dropdown list. Xcode 4 now combines these into a single #pragma mark - <name>. 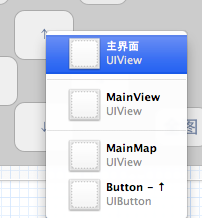 shift-cmd-opt click on a symbol lets you tell Xcode exactly where in the UI you want the navigated-to file to open. Overall, Xcode 4 tries to keep things consistent w/the hot keys. Cmd is for mainline commands. Adding modifiers is for analogous commands focused on one particular sub-feature. Xcode 4 adds a new "Code Snippets" feature, accessible via View > Utilities > Code Snippet Library. To add a new code snippet, select some text in the editor view and drag it into the snippet library. You can either drag a snippet out and drop it in your code to use it, or, much more conveniently, assign a completion shortcut to it. When you type in that series of letters, it will automatically show up in the code completion pop-up menu as you type your code. For example, among many others, I have a snippet set up so that typing "svk" will expand to setValue:<#value#> forKey:<#key#>. This can save a lot of typing and/or fishing around in the autocompletion menu for the methods and other code expressions you use the most. Xcode ships with a bunch of built-in snippets that come in very handy as well. New shortcut I use most often: triple-finger swipe (up or down) to swap counterparts (between the interface and implementation files). No more hand acrobatics! shift-option-click on a file in the Groups and Files list Project Navigator, or hold shift-option while choosing a file from the Jump Bar. You'll get a pop-over from which to pick where to open the file. New or existing tab, new or existing split (Assistant) editor, new window—every possible option is there. Tabs in Xcode 4 are awesome. Each one maintains its own separate layout, so you can have multiple tabs with different things in them and have each one lain out appropriately. I've been setting up my projects with three layouts—one for the project object, one for each nib (showing the owner's class's sources), and one for each class. There is one bug here: As of 4.0, Xcode will reset the state (turning off any Assistants) of the active tab when you reopen the project. The workaround is to switch to a tab with no Assistants for Xcode to close before you close the project. I have filed this as Radar number 9178441. Cmd + Ctrl + up/down Jump between .h & .m Files. Cmd + Ctrl + Left/Right Jump between Previous Edited Files/Next Edited files. Cmd + Shift + Y hide or show debugger console. Here's the first. Tabs! Xcode 4 has replaced Xcode 3's useful but rarely used "favorites bar" with persistent tabs. This means you can keep a working set of commonly used documents in your tab bar. Not exactly a hidden feature as such - but the fact that the tabs are persistent is perhaps easily missed. If you're having any sort of trouble with the indexing of your project (e.g. symbols not showing up in autocompletion), open the Organizer window, click the Projects tab, and use the "Delete" button to delete the derived data for your project. This will force a rebuild of the project's index, as well as tossing out any built products. You can now associate groups in the Project Navigator with folders on disk. It always bugged me before that the Xcode 3 file view may not represent the actual structure of the project on disk. Create a new group, then with the new group highlighted, open the File Inspector. 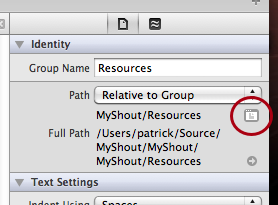 In the identity section on the right just below the 'Path' is a small icon, click this to open the file browser dialog allowing you to select the directory for this group. Click a ui object with Shift, it will show a list of all objects under the point. Cmd-clicking on a class name will take you to the implementation (or header) file of that class, cmd-clicking on an object will take you to where the object is declared. Alt-clicking will open a documenation popup for the object you clicked on. Adding frameworks: You cannot simply do this by right-clicking on the project or a group (like in Xcode 3). You need to go to the project view, select your target and go to "Build Phases" tab. Frameworks can be managed under the "Link Binary with Libraries" section. Setting target dependencies: Similar to the above, in the "Target Dependencies" section of the "Build Phases" tab. Keep your archives safe -prior to installing Xcode 4 (from 3). You will lose them (most likely) and with them lose your ability to symbolicate your crash logs. Delete action-BEWARE: "Delete" (instead of "Remove Reference Only") directly erases the file from your drive. It doesn't go into the Trash, so you cannot recover it. cmd-J jumps to the editor, but if you have more than one editor open you get an overlay that has all of the open editors. 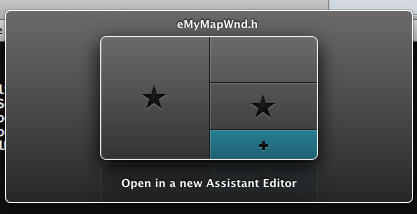 you can use cmd-→ and cmd-← to switch between the open editors. You don't need to declare IBAction - methods in .h File. & You can directly connect it in Interface Builder. // you can view your methods under "received actions"
You don't need to declare variables, if you are creating property for it. // a property declared in .h File of your view controller. // and you are done, you don't need to declare variable for it. One of my favorites is the "Open Tab" behavior preference. If you go to "Behaviors" in Preferences, you can set it to go to a specific tab whenever a run starts. You can name the tab, something like "Debug" and Xcode4 will create it for you if it doesn't exist, and take you there when you start debugging. You can configure this tab just how you like it for debugging sessions, and it will stick that way after you close it, so whenever you do a run Xcode4 will be set up just how you want it, in a separate tab. You can even tear this tab off to a separate window, in which case Xcode4 will open a new specially configured "Debug" window each time you start a run! This feature is great because it keeps your regular code editing tab or window uncluttered with the log and debugger panes. Simply close the "Debug" window when you're done running and you can be back to your clean screen of code. In XCode3, There was an option for "Rename the Project". Now, you just need to click twice ( second click slowly ) to rename the project & Its done. Note that you should quit Xcode, set the preference values as desired, changes take effect when you restart Xcode. If you prefer using vim/emacs running on, say, Terminal, or any other external editor, you can just create your xcode project, add files and whatnot and then switch to editing said files using whichever edit suits you best; whenever you switch focus to an xcode4 window, the modified files will be reloaded( was also the case with Xcode3 ) and you can build / run your application. 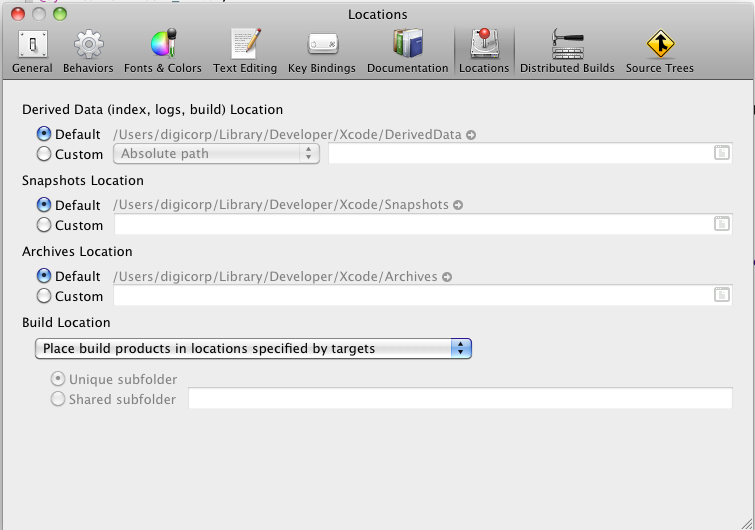 Two kinds of Build location specification using XCode4 Preferences. Location Specified By Targets - 'Build' Directory is located within your project directory. Please look at following screen shots. My Text cursor is at NSString & if I press Ctrl + Option + f then It will show a quick documentation in the inspector/utilities. Not the answer you're looking for? Browse other questions tagged cocoa ios macos xcode4 hidden-features or ask your own question. Hidden Features of Interface Builder? Xcode 4 - “Archive” is greyed out?